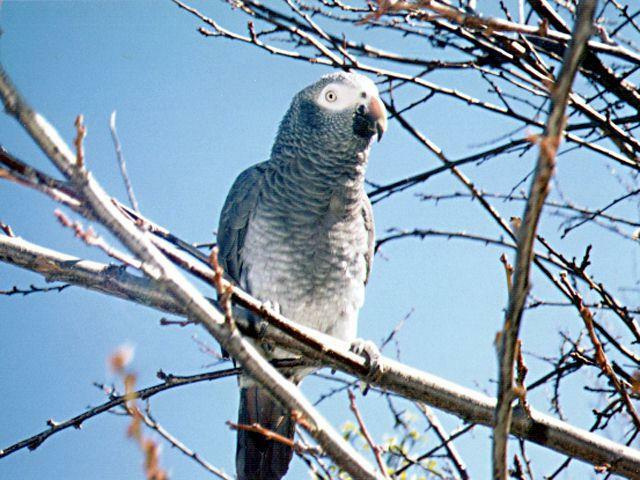 Timneh African Grey This is Biff, owned by Arcata Pet employee Dan Wake. Photo by Dan Wake. 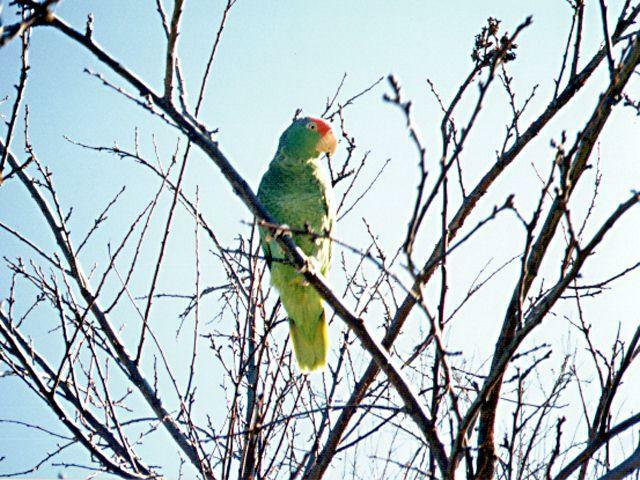 Blue-Crowned Conure. Another photo by Dan Wake. 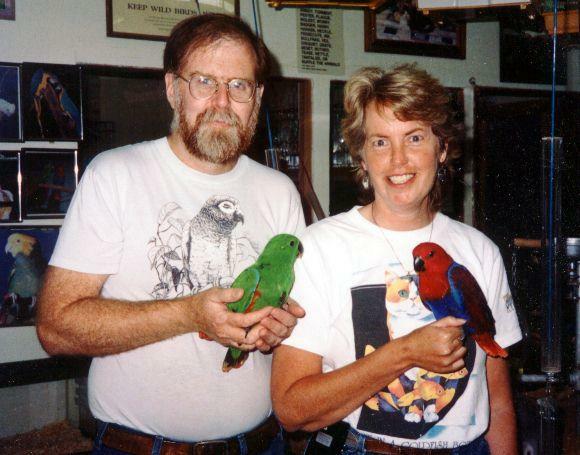 Don & Joy with baby Solomon Island Eclectus at Arcata Pet, circa 1987. 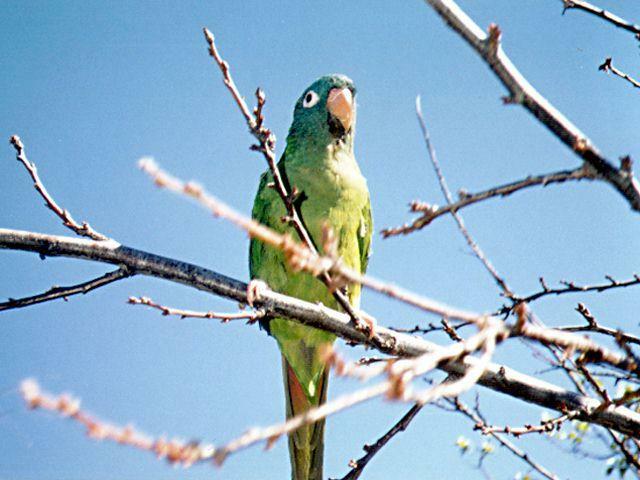 Green-Cheeked Amazon (Mexican Red-Head). Another photo by Dan Wake.